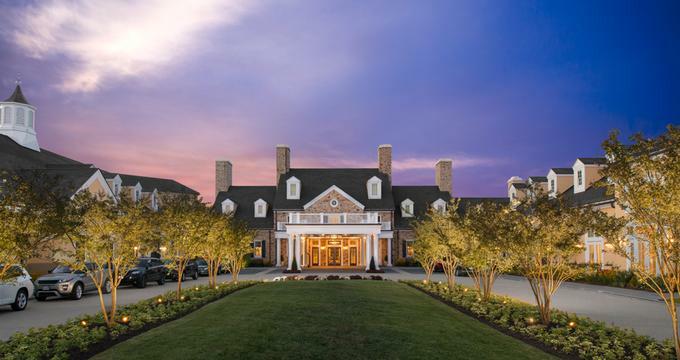 Salamander Resort & Spa is located in Middleburg, Virginia, an hour from Washington, DC and a mere thirty-five minutes from Washington Dulles International Airport. It is a luxury resort with activities and facilities for families, couples, corporate executives, members of the equestrian community, wine lovers, history buffs, and adventure seekers. The resort has one hundred and seventeen guest rooms, including seventeen suites that convey a residential feeling. All of the rooms include forty-inch televisions, executive desks, spacious dining areas with comfortable seating, mini-bars, refrigerators, in-room safes, daily newspaper delivery, twenty-four hour room service, and Wi-Fi access. Each bedroom has a thirty-seven inch flat screen television, while guests can enjoy a fifteen-inch LCD television in the bathroom. The bathrooms also include marble showers with body jets and pedestal tubs. 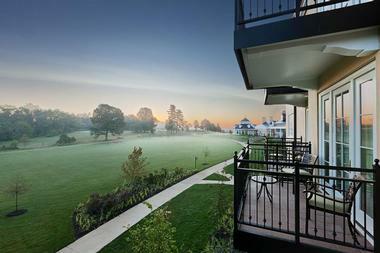 There are private balconies outside each room with expansive views of the countryside. All of the suites and some of the guestrooms boast gas fireplaces. Four of the guest floors follow a seasonal décor through spring, summer, fall, and winter. The resort offers a variety of dining options, with organic produce harvested seasonally from the in-house culinary garden where they grow foods like apples, pears, five types of lettuce, sprouts, beets, herbs, and more. The equestrian-themed restaurant Harrimans offers locally inspired fare for breakfast, brunch, and dinner (check website for availability), and its patrons can enjoy a sweeping view of the countryside. The eclectic menu options include crispy sesame cauliflower with sweet soy ginger glaze, preserved orange peel, coconut, and black sesame seeds; grilled Georges Bank swordfish with hay-smoked sweet potatoes; vanilla lemongrass panna cotta with navel orange-passion gelée, lime foam, and a salamander honey meringue hive. The restaurant also offers several vegan options. Market Salamander, located in the Village of Middleburg, provides guests with weekend breakfast, brunch, or lunch options. They also prepare gourmet picnic baskets that guests can enjoy on the resort grounds, at equestrian events, or in one of the local vineyards. Breakfast fare includes classics like French toast, eggs, and sandwiches on bagels or biscuits. Picnic basket choices include cheese and crackers, crudités and dips, sandwiches, salads, fruits, and sweets. The resort’s state of the art Cooking Studio offers daily cooking classes to adults as well as children, and it is available for private dinner parties and corporate retreats where the guests can participate in the food preparation or simply watch and interact with the chef as he prepares the meal. Classes include dairy-free cooking, chocolate truffle making, sushi preparation, Caribbean cuisine, pasta preparation, and an introduction to raw vegan cuisine, among many others. Guests can take afternoon tea or savor an evening cocktail at the resort’s Living Room. The Gold Cup Wine bar features an impressive wine cellar, cocktails, and beer selection, along with a full menu featuring treats like Milanese risotto fritters with carnaroli rice, parmigiano reggiano, and saffron aioli; honey lemon turkey sandwich with brined turkey breast, green garlic mayo, avocado, Appalachian cheese, and smoked bacon served on multigrain bread; molasses jerk quail with griddled corn bread, tamarind barbeque sauce, spring garden vegetables, and roast corn piccalilli; and sweet and tart doughnuts with lime curd, blueberry caviar, and chocolate brittle. The Salamander Spa provides traditional services like prenatal, hot stone, couples, well-being, and deep tissue massages, and they also offer signature services like The Rider’s Relief Massage, specifically designed to relieve the tension and soreness experienced by equestrians, and The Bamboo Massage, where spa staff incorporate warm bamboo stalks in a combination of heat and pressure to detoxify the body. Body treatments include the MIO Full Body Sculpt and Contouring, which provides intense body tightening and toning, and the Crushed Cabernet, which starts off with a body scrub containing grape seeds, honey, brown sugar, and essential oils, and is then followed by a sculpting massage. The Cashmere Quench Wrap starts with full body exfoliation, followed by a spice-infused shea butter and Vitamin E treatment. Facials include the O2 Awaking, recommended for frequent fliers and for those whose skin has been exposed to the sun; and the Vitamin C, which uses high concentrations of the vitamin to relieve sun-damaged skin and to combat signs of premature aging. Also on the spa’s menu are Seasonal Rituals combining a massage, detoxifying treatments, and essential oils that tie into and address the body’s needs according to the four seasons. Top attractions in: Sacramento, Phoenix, Salt Lake City and Milwaukee. 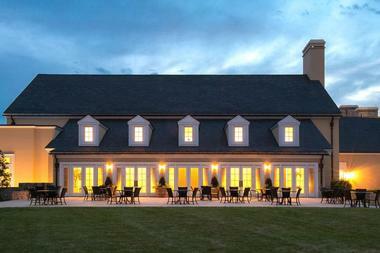 Guests enjoy exclusive golf privileges at The Club at Creighton Farms, which includes the Jack Nicklaus Signature course. The PGA has selected The Club at Creighton Farms to host the Senior PGA Professional National Championship three times in the last five years. The challenging course boasts pristine conditions, generous fairways, and smaller greens for quick games. The course has also earned the status of an Audubon International Signature Sanctuary due to its environmental preservation and sustainable practices. Those interested in learning more can visit the website for course overview and tee times. Golf-specific packages are available from at the resort. Other nearby golf courses include the Evergreen Country Club, Bull Run Golf Club, and Raspberry Falls Golf and Hunt Club. Golf is just one of the many sporting activities that abound at this luxury resort, which also has facilities and equipment for tennis – including lessons, clinics, camps and tournaments, bocce, croquet, swimming, clay shooting, military off-road driving instruction, billiards, and basketball. There are also miles of hiking, biking, and riding trails. In addition to geocaching, paintball, stargazing, scavenger hunts, carriage rides, bird watching, animal tracking, falconry, and guided walks, the resort also offers several types of zip lining tours for both children and adults. The resort’s Equestrian Center includes a twenty two-stall barn, practice ring, instructional facilities, nine paddocks that range in size from 1 to 2.6 acres, and full-service boarding facilities. The Equestrian Center is host to over four hundred annual equestrian events, including steeplechases, polo matches, and horse shows. The center even has gentle ponies for children’s riding lessons. The resort also hosts seminars such as the upcoming Making Sense of Your Metabolism, a three-day event with lectures on fitness and eating healthy, cooking lessons demonstrating ways to boost your metabolism, and fitness classes. Another upcoming seminar is EquiSpective where couples learn to foster communication, true partnership, and harmony within their relationships. Sessions in the three day seminar include Conscious Connection: Increasing Presence & Fostering Communication, Sustaining Supportive Strategies, and Appreciation & Gratitude: The Essential Concept in Keeping Couples Connected. Indoors, guests can participate in activities such as ballroom dancing, art classes, cabaret-style entertainment, and a diverse library from which guests can borrow books. Family fun opportunities include spending time at Camp Salamander, which presents programs like Kiddo Zip lining, Silly Scientists, Nutty about Nature, Minion Magician, Salamander Splash Bash, Leadership Odyssey, Creative Journey Sketchbook, and What Comes Out at Night: Sightings with Night Vision Goggles. There are also water-based activities like Wacky Water Polo and pool games, and the establishment features a children’s spray pool and a family pool. Additionally, the resort hosts The Salamander Sports Camp in the summertime, where kids take part in tennis, swimming, and resistance training. 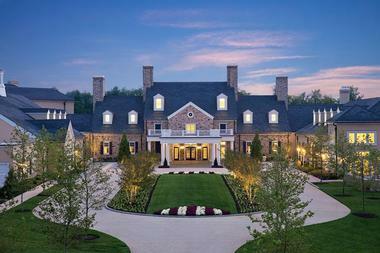 Event spaces within the resort include the 5,000-square-foot-divisible Middleburg Ballroom, the 1,800-square-foot-divisible Bluemont Ballroom, 2,000-square-foot Pre-Function area (which opens onto a large outdoor terrace with views of the surrounding landscape), the Stallion Barn, the Grand Lawn, various poolside settings, the library, the Cooking Studio, and the Culinary Garden. In addition to the numerous event spaces already listed, the resort also has two executive boardrooms with three additional breakout rooms to accommodate business meetings. These diverse spaces can accommodate gatherings that range in size from intimate affairs to 1000+ guests. Resort specialists are also available to help guests plan every detail of their weddings, including guest accommodations, décor, menu selections, seating arrangements, timelines, and a consultation with the pastry chef to design the cake. The resort also offers wedding packages. Resort catering is available for events and can include white-gloved service. The resort also works closely with carefully screened, outside professional services, including those providing welcome gifts and amenities for your event, photographers, music and entertainment, and florists. For corporate events, the resort hosts unique Empower Team Development programs like Survival 101, which teaches life saving techniques such as fire building, water purification, rope skills, and self-rescue skills; the Team Assessment Survey, which is administered anonymously by an Empower teambuilding specialist; and the Tree Top Zip Tour, which combines zip lining with challenges such as rappelling, navigating a one-rope bridge, and rope rescue. The area surrounding the resort is also teeming with possibilities for adventure. 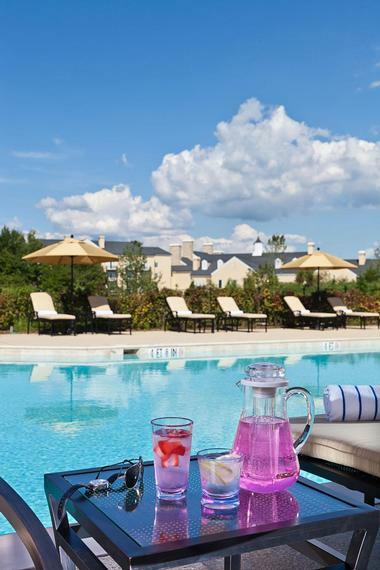 Wine lovers will happily find themselves deep within Virginia’s wine country where there are no less than fifty wineries within an hour’s drive of the resort. The myriad activities of Washington, DC are also within an hour’s drive. There are thousands of historical sites in the area, the resort being approximately mid-way between Gettysburg and Charlottesville, the site of Thomas Jefferson’s Monticello. The Journey Through Hallowed Ground Tour stops by the National Sporting Museum and Library, the Jacquelyn Kennedy Pavilion, and other historical landmarks dating back to the 18th century. The historic Village of Middleburg is a five-minute walk from the resort and presents guests with additional dining and shopping options. Room rates start at USD $275 per night. 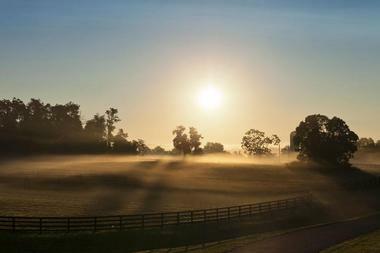 You may also like: Best Weekend Getaways from Washington D.C.